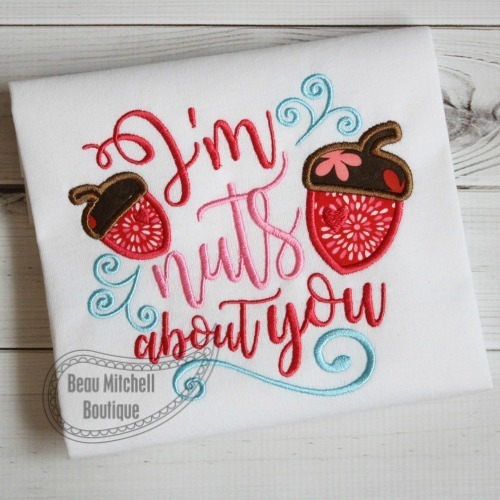 I'm Nuts About You Valentine - 4 Sizes! 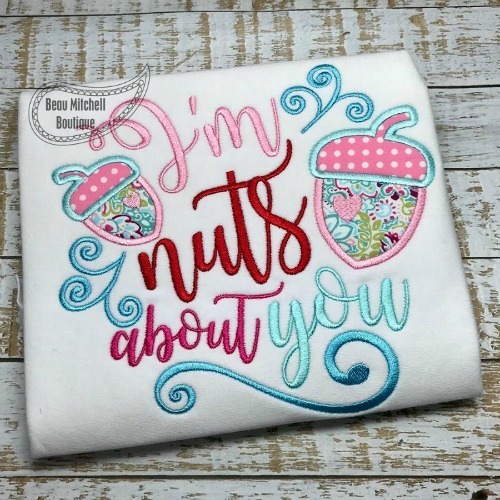 This design is all embroidery in the 4x4 size, a one color applique in the 5x7 size and a two color applique in the two largest sizes. Heart Lock Applique - 4 Sizes! Loads of Love Dump Truck Applique - 3 Sizes! Hippo Valentine Applique - 4 Sizes! 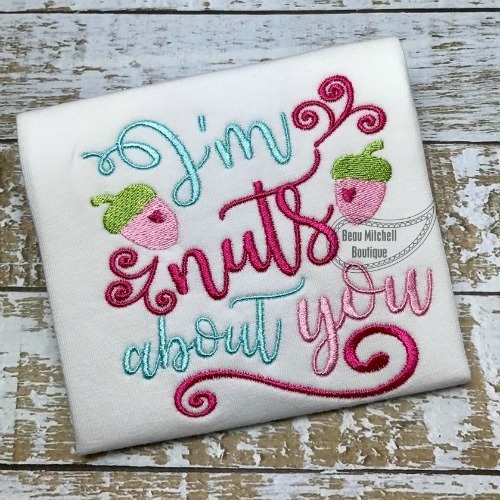 Love Shines Applique - 4 Sizes! Finish Size: Filled 3.89" x 3.89"
Finish Size: Applique 4.89" x 6.00"
Finish Size: Applique 6.70" x 6.26"
Finish Size: Applique 7.68" x 7.20"